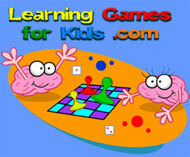 I have found another great FREE learning site for kids. If you are homeschooling like I am you will find this site a great resource and its FREE. Homeschooling does not have to cost a fortune, kids can learn without having the expensive boxed curriculum. When I first started homeschooling I thought we needed the fancy boxed curriculum boy was I wrong my kids actually learn more from the curriculum I put together for them mainly from free sites. Head over and check this site out.